How do you know how good a runner you are, or how well a race performance ranks against another of a different distance? How do you know if you are improving as a runner if you run a 27 minute 5km and then a 1hr 10km the following month? How can you use a 5km “race performance” or even a run at training pace only to predict how you will perform at any other given race distance? Sorry bud, your 10k time says you should be doing better. We all intuitively know that as race distance increases, your pace must also be necessarily slower; you can’t run at “5km race pace” for more than 5km, by definition – you must slow down as distance increases. This is true for all endurance sports, but to take the example of running, most people can run 1 mile faster than 7:05 pace (which world record pace for 100 miles), so nearly every runner at least has the maximal speed required, but do they have the endurance to hold that speed to make them a good endurance athlete? How do you know if you have good endurance? How do you know if you are slowing down more than you should or less than you should as distance increases? Is endurance a strength for you or a weakness? The art of extrapolating race performances to other distances has been studied by many coaches, and there are several well-established methods of predicting race times in well-trained athletes. These predictive systems can tell us how well we race at various distances, and answer the question if that 1hr 10k is a better performance that that 27minute 5k, and can also tell us if a 4hr marathon is a realistic proposition. Jack Daniels’ VDOT formula is probably the most well-known predictive method for measuring race time equivalencies at different distances. VDOT simply describes your economy at maximal oxygen uptake and is stated as number – the higher the better. Improving your maximal oxygen uptake (VO2max) OR your economy of movement OR BOTH will result in a higher VDOT and better speed and race performances at all distances in theory. VDOT tables have been compiled by Daniels which shows equivalent VDOT times for various typical distances. VDOT is also prescriptive as well as descriptive – If you follow Daniels’ training plan, your target pace for all the different components of the plan – easy runs, marathon pace runs, Tempo, Intervals and Rep work are all based off your VDOT score. 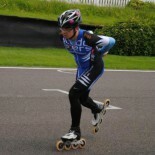 A recent 5km race finished in 27m:00s gives you a VDOT rating of 35. By the VDOT tables, this is equivalent to a 56:03 10km, a 2:04 half, and a 4:16 full marathon. The MAF test which I have written about previously can also be used to predict race performance. Maffetone himself compiled a lot of data from runners that showed a very close relationship between an athlete’s MAF Test result and their race performance at various distances. Of course, there is a little bit of an art in accurately determining your maximum aerobic heart rate, which is why the predict race time extrapolations are given as a range – MAF gives you a little bit of wriggle room. A MAF test with a 1st mile pace of 12:30 should produce a 27:00 5km race time, roughly a 2:06 marathon and a 4:25 marathon. I have to admit I don’t know an awful lot about the McMillan calculator, but it seems to use a formula very similar to the VDOT method. Based on a recent race performance, McMillan appears to computes your pace at Lactate Threshold and VO2max in order to extrapolate out to other race distances. Using the online McMillan calculator, we see that the same physiology that produced our 27m 5km should be able to carry us to a 2:05 half marathon and a 4:23 full marathon. John “Hadd” Walsh was an online presence on the LetsRun forum who garnered a lot of followers and had devised a full training plan – the “Hadd Method”. 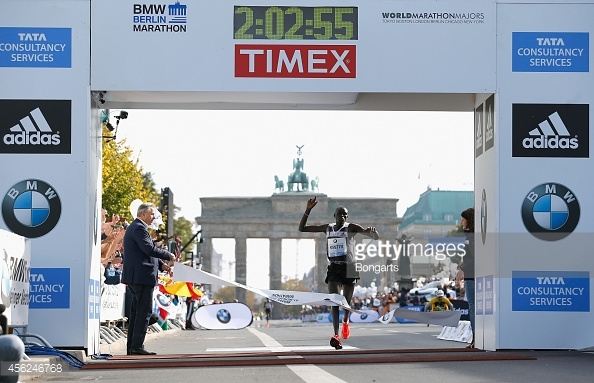 He also suggested that in well-trained runners, the relationship to pace vs distance could be very well approximated: for any given distance, you would be able to run twice as far if your pace droppe by 16 seconds per mile (there’s some debate to the exact formula it could have been 4 sec per 400m, ie 10 seconds per km). The obvious problem with this is the pace dropoff is expressed as a fixed number, not a ratio, so that 16 seconds is a much greater reduction in relative speed and effort in faster runners, for example at 5min pace, than for slower runners who are running perhaps closer to 8 minute or 10 minute pace. Using the same 27min 5km time, the 16 second rule gives some rather more optimistic predictions of a 2:01 half marathon and a 4:09 full marathon – indicating that perhaps it should be a more like a “20 or 25” second rule if you are starting out from a more modest level. Conversely in elites, the relationship may be even tighter than 16 seconds/mile. Predictive race times – yeahhhh right..
Clearly, in all of these models, pace is an exponential decaying function of distance, with the only difference being the rate of decay as distance increases. For our hypothetical 27 minute 5k runner, he or she should be able to run a full marathon somewhere between 4:09 – 4:25 depending on which predictor you choose to believe. In playing around with these predictive calculators, I know what most of you are thinking.. “These guys are crazy – I know I can just about do X time/pace over 5 or 10km, but there is NO WAY I could run the equivalent predicted half/full marathon!“ And indeed, that is true for most runners who can boast faster 5km or 10km PRs than their half or full marathon PR says they should have. But what does your “strength” at shorter distance say about you as an athlete? If our aim is to be the best Endurance Athlete that we can be, then we want to see our relative strength increase rather than diminish as distance increases. Endurance is the name of the game here: how long you can hold a submaximal speed. Recall that in a 5km race typically 90% of your energy will come from the aerobic and 10% from the anaerobic system. However if you are more anaerobic then your personal split might be near to 80% aerobic and 20% anaerobic – at shorter distance your anaerobic system is more able to step in and compensate for a deficient aerobic system. However, in a marathon 99% of your energy comes from the aerobic system. Even if you can double the contribution of the anaerobic system (unlikely), your aerobic system will still has to deliver 98% of the energy. So longer distances are a far truer reflection of the strength of your aerobic system as the contribution from the anaerobic system becomes insignificant. So to put it bluntly, if your race performances aren’t as closely knit as the predictors suggest they should be, what it means is that your aerobic system is underdeveloped in comparison to your anaerobic system. That probably means you’re training too fast and with too much stimulation of your type II anaerobic fibres. That might be acceptable if 200m or 400m speed is important, but it’s a severe handicap if you goal is endurance. So my 1:39 half marathon was a comparatively better performance than my 10k that I ran 3 months earlier. That is reassuring confirmation that I have good endurance, and it is also to be expected following 3 months of regular training between the 2 races. There’s no comparative underperformance at the longer distance, indicating that my aerobic system is well developed. A VDOT rating of 45 also says that I should be able to run the full marathon distance in 3:28:26. That sounds insanely ambition considering it would be over 30 minutes faster than my previous (and to date only) marathon in Berlin back in September last year. To be honest I’d be amazed if I got within 10 minutes of that… but that’s what the science says! So we’ll see in 2 and a bit weeks.. 3:28 is the target – gotta aim high!! Excellent article! 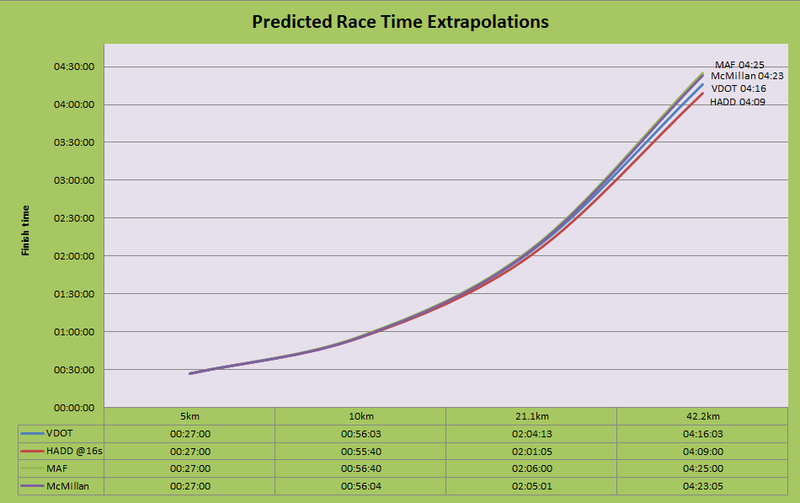 Could you provide the script or code used to generate the “predicted race time extrapolations” graph? This would be very informative for our running group. This entry was posted on February 26, 2015 by Van in Endurance, Marathon, Running and tagged endurance, Marathon, Pacing, Racing, Running.